For Christie 2016, New Hampshire is key primary territory. But Bridgegate dogs him there, too. If Chris Christie wants to get the GOP’s nomination for president in 2016, his hopes rest largely in one key state: New Hampshire. That’s because the other early voting states are not exactly friendly to Christie’s brand of center-right politics. Iowa, which holds its 2016 caucuses before New Hampshire’s first-in-the-nation primary, is a stronghold for Christian-right conservatives, and the New Jersey governor isn’t likely to do well there. Ditto South Carolina, where far-right Republicans hold sway. But New Hampshire, which has its share of moderate and centrist Republicans likely to support a Christie-style candidate, and which allows independents to cast ballots in party primaries, might be considered friendly territory for Christie. Until recently, it appeared that Christie had an ace-in-the-hole in New Hampshire: a key aide, who was part of Christie’s 2013 reelection team, was hired late last year as executive director of the New Hampshire GOP. Mr. Stepien’s office divided the state into three areas—north, south and central—with staff members in charge of reaching out to mayors. For example, Matt Mowers, who sought the endorsement of Mayor Mark Sokolich of Fort Lee, a Democrat, worked in the north. They kept track of the outreach on the spreadsheets, which they updated almost each night to note phone calls made and meetings scheduled. [A] source said a fifth individual subpoenaed in the first round, Republican campaign director Matt Mowers, turned over documents Wednesday morning. Mowers is now the executive director of the New Hampshire Republican State Committee. Mowers’ attorney, Craig Carpenito, did not immediately return a call seeking comment. Christie Watch left messages for both Mowers and Carpenito, the lawyer, but neither one returned calls. Close to a week after news broke about top Christie aide’s scheme to block access to the George Washington Bridge and put people’s safety at risk for political revenge, Granite Staters are still seeking answers. 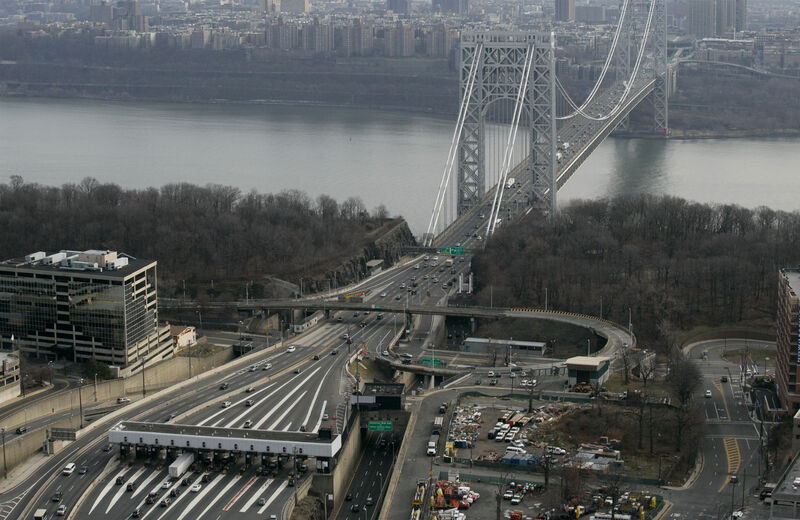 When did Mowers hear about the plan to close lanes on the George Washington Bridge to punish Fort Lee, and was he involved in concocting it? What contact, if any, did Mowers have with employees of the Port Authority, and did others within the Christie campaign have contact with Port Authority employees? And when was the last time Mowers talked to Bridget Kelly and Bill Stepien, his two former bosses who have been forced to resign, and did they discuss the bridge scandal? The New Hampshire Republican Party chairwoman stood by her recently-hired 24-year-old party executive director Monday after he was named as a player in the prologue to the “Bridgegate” scandal plaguing his old boss, New Jersey Gov. Chris Christie….New Hampshire GOP chair Horn would not address whether Mowers had approached Sokolich regarding a Christie endorsement. Nor would she say what she knows about his role in the matter. Does Mowers’ job in New Hampshire give Christie an advantage if and when he decides to seek the presidential nomination? Or, conversely, will Mowers’ small part in Bridgegate hurt Christie among New Hampshire GOP and independent voters? Spokesmen for both the Republican and Democratic parties say that it isn’t unusual for an operative with ties to a specific candidate to take a role with a NH state party organization, if only to gain experience in the Granite State’s primary role. And there’s no telling how long Mowers will serve in that position, given that the state’s primary battle won’t heat up until the end of next year. Ryan Williams, a former aide to Mitt Romney and now an executive with FP1 Strategies in Washington, is a spokesman for the NH GOP. He says that while several potential candidates, including Louisiana Governor Bobby Jindal, Texas Senator Ted Cruz, and Kentucky Senator Rand Paul have all been in the state since the start of 2013—and Jindal will be back this month to keynote a NH GOP event—the chief focus of the party is on the 2014 elections. “We’re not in the presidential cycle yet, and in any case the party always remains neutral,” he told Christie Watch. “The party welcomes all candidates.” And he added: “Mowers has done a great job."